We’d love your help. 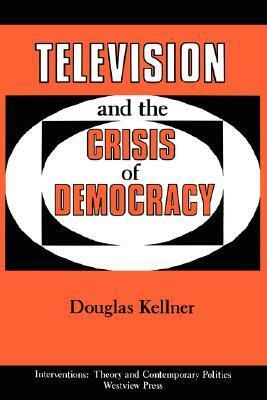 Let us know what’s wrong with this preview of Television And The Crisis Of Democracy by Douglas M. Kellner. To ask other readers questions about Television And The Crisis Of Democracy, please sign up. Douglas Kellner is a "third generation" critical theorist in the tradition of the Frankfurt Institute for Social Research, or Frankfurt School. Kellner was an early theorist of the field of critical media literacy and has been a leading theorist of media culture generally. In his recent work, he has increasingly argued that media culture has become dominated by the forms of specta Douglas Kellner is a "third generation" critical theorist in the tradition of the Frankfurt Institute for Social Research, or Frankfurt School. Kellner was an early theorist of the field of critical media literacy and has been a leading theorist of media culture generally. In his recent work, he has increasingly argued that media culture has become dominated by the forms of spectacle and mega-spectacle. He also has contributed important studies of alter-globalization processes, and has always been concerned with counter-hegemonic movements and alternative cultural expressions in the name of a more radically democratic society.